We respect your time and want to insure that your visit to Yorkville Auto Sales is productive and enjoyable. 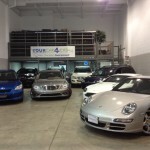 All of our vehicles are stored indoors and our indoor showroom is open by appointment. Appointments are necessary to insure the vehicle you want to see is available and that someone is available to meet with you to show you around. . Most vehicles are available to view in the comfort of our indoor showroom however some vehicles may be stored off-site. Please call ahead to be sure the vehicle you want to see is available for you when you arrive, and to schedule your appointment. Since our business often takes us off-site there are times when someone may not be here at the office to receive walk-in visitors. You deserve our full attention while you are here so please give us the opportunity to schedule you in.